Commenting is the backbone of any blogging site. And it is important to choose a best commenting plugin for our blogs. 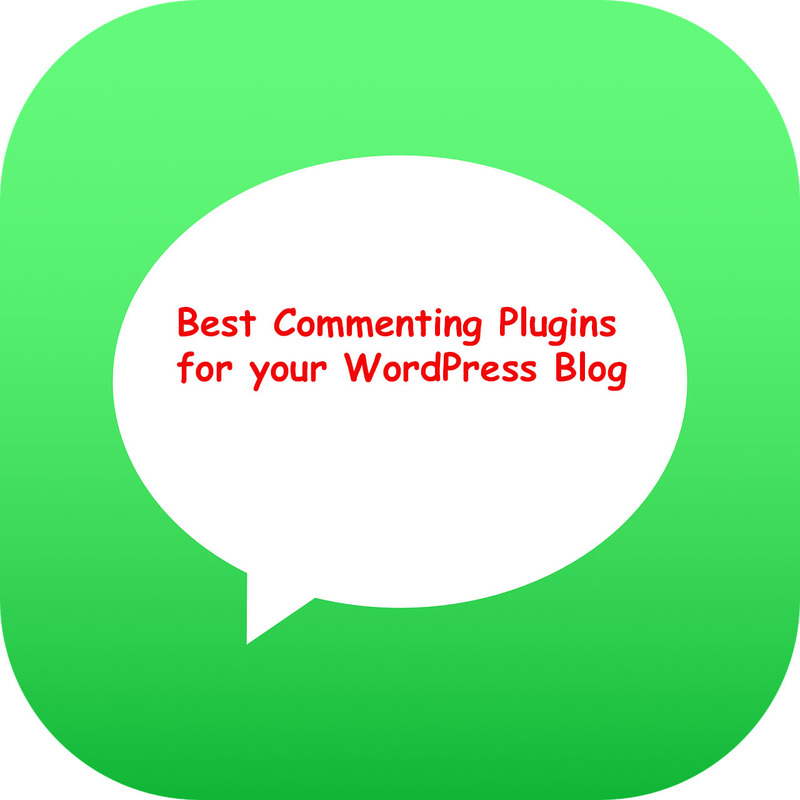 So, Today I will be sharing with you a list of best commenting plugins for our WordPress blogs. As we all are hearing that content is the king but if the content is an important part then comments is the Queen. Comments make the content more valuable. If your blog posts are not getting more comments than it is because of the two reasons. One is that your content is not good enough and another reason is that you are not using the right commenting system for your WordPress blog. And if you are making good content and still not getting comments on your blog post then you have not chosen the right commenting plugin for your WordPress Blog. How to Get your comments approved easily? How can comments help you to drive more traffic? Why you need a best commenting Plugins for your WordPress Blog? There are many reasons for using the best commenting plugins for your WordPress website. I am sure that you are going to agree with the points that I am going to share about the commenting plugins. A good commenting system increases the number of comments. Helps to share the post as well as comments on the social media when we are using a commenting plugin related to Google+ and Facebook. There are also some plugins which help to get Dofollow as well as Nofollow links for our blogs. Some of the commenting plugins are even SEO friendly. WordPress provides a default commenting system, even if you have not installed the third party commenting plugin for your WordPress blog or WordPress website. Many of the pro bloggers think of the default WordPress commenting system to be one of the best. I have seen some pro bloggers like Harsh Aggarwal, Brian Dean and Neil Patel using this simple and good default WordPress commenting system. Now Disqus is a third party commenting system. After installing this plugin in your WordPress dashboard, you first have to create an account at Disqus, and then you will be able to access the complete plugin. The benefit of installing this plugin is that your comments will be totally handled by the services of Disqus. The comments made on our WordPress blog using this commenting plugin will be stored on the servers of the Disqus and will leverage the load time of our blog, thus making our blog’s speed faster. It also gives the option to approve the comments manually; there are many huge sites which are also using this plugin. The author of the plugin claims that the comments are indexable by the search engines. And another important feature is that your previous comments can also be imported. This is my favorite blog commenting system. Even I use it on my blog. The only reason that this is my favorite commenting plugin because it has many amazing features. It allows us to build some quality links to our blogs. And I have been using it on my blog from the day I have started blogging, and this commenting plugin has helped me to get a good amount of links to my blog. This plugin works perfectly when both of the blog owners use the comment Luv plugin for their blogs, and at the end of the comment, they can leave a link to their blog post. The link can be Dofollow or Nofollow depending on the will of the owner of the blog. And if you are already using comment Luv plugin for your Blog or have a mind to use it, then you can also use this list of commentLuv blogs to build some quality links to your blog. This amazing plugin can help you get more comments using Facebook and more connections. As whenever a new comment is made on your blog post using the Facebook commenting system, you can add that person to your Facebook groups. Moreover, we can disable comments on any individual post or page by using this plugin. Some of its other features are like we can import our Facebook comments into the post comments. We can also change the font, size and font family of the comments. There is also a pro version of its which you can use to get some extra features. WpDiscuz claims to provide superfast commenting services with responsive view compatible with all kinds of devices. This plugin is a good copy of Disqus plugin but has some wonderful features. More importantly, it can also be integrated with BuddyPress, User ultra, and ultimate member. It can also be integrated with Akismet, WordPress zero spam, and WPBruiser. Yoast is the well-known name in the field of SEO and Internet marketing. So, using a commenting plugin for our blog that is developed by Yoast will be a great idea. The Yoast also uses their own plugin on their website too. The plugin owner claims that use of it will manage the comments easier. Some of the best features provided by them are clean email notification about comments and redirects to the thank you page when a visitor makes a comment for the first time. Jetpack is a Plugin which can alone be used to create a complete WordPress site without installing some extra plugins. And likewise, Jetpack has a solution for commenting too; It has 28 features among which commenting is one of the features. The commenting system provided by the Jetpack is almost like the default WordPress commenting system and can be used easily. I have listed this plugin in my previous post “Essential WordPress Plugins for the Blog.” And it is really an important and essential WordPress plugin that must be used by every blogger. You would have noticed that on installing WordPress this plugin is already there and is an important one. This is not a commenting system, but this helps to make the commenting system better. You can use this plugin to get rid of the Spam comments. It automatically sends the spam comments to the spam folder for the review. I have been using this plugin on all my blogs, and I have happy with it. I don’t know that there are more commenting Plugins available on the internet or not, but I found these plugins to be worth sharing. Although the first three plugins are used by a vast majority of people so you can choose one from any of these, depending on the requirement. And even if you think that there is a plugin which must be there in the above list, then please share it with me through your comments. And help me make the post more valuable. Excellent article on plug-ins for commenting on wordpress sites. until I saw people on PAC using Comment LUV I am using this and love it on my site. I will share your article on my fb page More people should see it! Thanks for the kind words and the share. I use comment Luv from the begin on . I did not know about this plugin that time,but I had people asking me to use it ,they would not comment without it. It works very well for me . I do not know about the others only the Disqus which I use on some blogs who use it. I think both of them are reliable. Thank you for sharing the alternatives. Even I think that comment Luv and Disqus are really reliable. Happy to read yet another post on blog comments. Yes, as I often say: “comments can play a vital role with our blog posts. Yes, again when we talk about this subject it is important to choose the right commenting system. The plugins mentioned in the post is really worth noting. As you said, I am also using the commentLuve plugin on my site. Thanks Robin for sharing this in this post. I am glad to see the connected link of CommentLuv using blog’s list. And Happy to see our page link too in the list. Yes, even I have faced lots of problems while commenting on different blog pages, Sometimes their captcha really irritates. And I even I stop visiting their pages just due to this reason only. Although, Thanks for kind words and you also have a good week ahead. For me, I love CommentLuv. It is so easy because when I leave a comment, all a person needs to do is click the latest blog post I have written to reciprocate. There is nothing worse when I have to go off page to comment on someone. When people have CommentLuv, it is so easy for me too. I have seen most of the others, but when you are a blogger and read tons of blogs per day, simplicity is key. I am Glad that you love commentLuv. And commentLuv is a two-way game, It works when both the bloggers, The commenter and the administrator of the blogs have installed the plugins. How are you doing today? Hope you’re doing well. Well. Thanks for sharing. The listed above are awesome plugins. Yeah. I’m working with Commentluv as you knew it’s a great plugin for encourage commentator to comment on our blog. However, it gaves a hard time with spam comments, but I can manage that as Askismet is also a great plugin for spam preventing. I’m impressed by Yaost comment plugin. I’ll take more read about the plugin. you are right that Commentluv plugin is really a good plugin. And Even I am impressed by it and have been using it on my blog from the first day. Although, Have a good week ahead. Wow, What a great article Robin. You are right that commentluv plugin has some good features & I also love Commentluv plugin. By the way currently I am using Jetpack. Thanks for sharing. Thanks Robin for the list. I want to try CommentLuv plugin. It has got a feature of making the latest post of the commenter visibly clickable for other commenters/readers. I have tried Disqus and deactivated as reaching to the blog of a commenter is quite cumbersome when it’s being used. You are Welcome Sherab. Go ahead and try CommentLuv and I am sure that you will love it. That’s a great list of WordPress Commenting Plugins, but I am using Disqus Commenting System. So I will try CommentLUV comment Plugin with my another website Thanks for share. CommentLuv is really good plugin. I am glad that you are going to use it on your other website. Thanks for Sharing awesome collection of commenting system for WordPress blog/website. I am using default comment system for my blog. Blog commenting is the best activity and it’s important to choose the right commenting system. I have used Disqus and it’s not that much effective as CommentLuv. It provides your readers a little bit of credit to link their blog post so that people can reach. That’s reason i am using Commentluv plugin for vlog too. Is there any way to import your existing wordpress comments in Disqus? I don’t think that Disqus imports the existing comments. I have not tried importing but you can try if you feel Disqus is a good commenting system to goo with. Comments are something that everyone should take care of, as it could make a difference on your signals. Akismet is really an important plugin, once your blog get indexed well and get some traffic, you will see the increasing in the fake visits, just to leave sensless comments and raise your bounce rate. Yeah, Akismet is really a dependable plugin. Thanks for stopping by. Great post! My experience with Comment Luv wasn’t good. The day I installed it to my blog, I got bombered with spam comments. I tried everything to stop those spam comments but I couldn’t succeed. And finally I had to uninstall this. Recently when I installed a new plugin name WP-SpamShield it is superb to stop spam comments. I am using Akismet Plugin along with commentluv and all my spam comments directly goes to the spam folder only. Although, WP-SpamShield also looks good. I wrote something on driving huge comments to your blog using some plugins, I think I did 32, can’t really remember now. But your list, my friend, is not bad as well and I particularly love some of the plugins you mentioned and trust me, I’ve had to use some of them on my blog in the past and that’s because I try different plugins on my site and only get to use the ones that play well with my blog. That said. CommentLuv merged with the WordPress default comment box has been particularly helpful and how about Akismet, it always help remove the Gobbledygook that I would have stress on my self removing manually. Have a nice time yonder! Thanks for your valuable feedback and also thanks for sharing it on social media. This post was of great interest to me because I have needed to change my commenting system. Currently I have reverted to the WordPress native commenting because I have been having such terrible problems with my original plugin clashing with my theme. I may give the Yoast one a try…. I will also look at the wp-spamshield plugin as I’m getting quite a lot of spam, which is such a waste of time. Thanks for suggesting a few other options. I am Glad that I was able to make a timely post for you. And more importantly, you liked it. Good to know about these 8 WP plugins for commenting. However, I am in love with the default WordPress commenting system with an extension of Commentluv plugin. Nice list bro. Blog has always been the best way to figure out what your readers are looking up to. Thanks for this great list. I usually stick with disqus on my WP blogs. its the best SEO optimized comment plugin which also recommends related posts. Thanks for sharing for feedback. Well Explained . I think commentluv is the best.! I personally like commentluv because of it’s very user-friendly and many amazing features. yes, these are nice plugins I like it very much. they help me in my blogging thanks to sharing this information with us. Hi, after going through this post, I learnt many things. It is really awesome, informative and very useful article. Good to be here bro. Though this is quite of age, Have you been able to look in MyCommentAuthors? It just helps you generate a list of comment authors so you can thank them. That sounds good. I will check for sure. Awesome Work. Thanks for sharing keep up the good work. Great information is provided on this post…. Keep always shearing..
All the best for future post.. This is a great post. I love to work with “Disqus Comment System”, it is one of the best WordPress comment plugins for me. very interesting, I love it very much. Thanks for sharing keep up the good work. I am really impressed by your blog. Your article is very helpful and more informative. It’s a marvelous best Commenting plugin website. Thank for sharing your valuable thought with us.